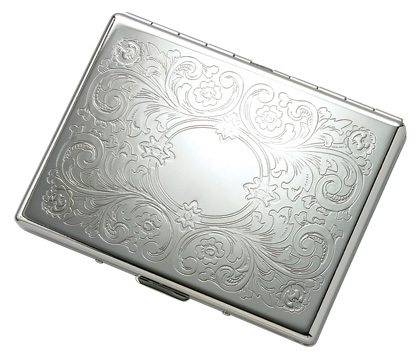 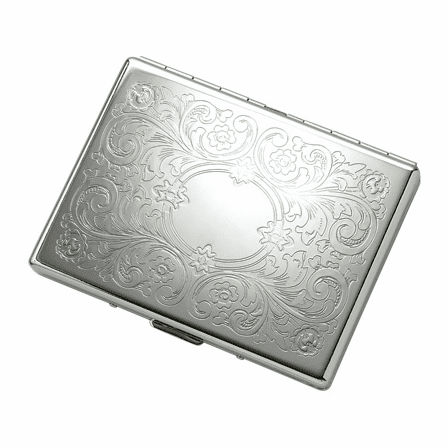 FEATURES/SPECS This floral pattern polished silver cigarette case is an elegant way to safely store your cigarettes. 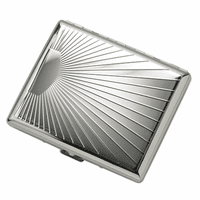 Made of aluminum polished to a mirror finish, it holds both standard king size and larger 100s size cigarettes. 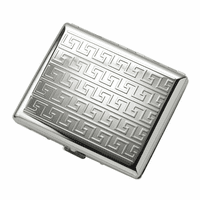 It has lightweight arms that hold your smokes in place and you can add a special personalized touch with the engraving of your choice free of charge. 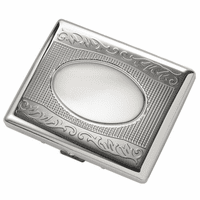 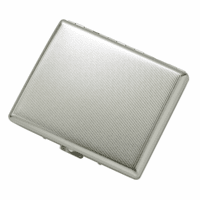 Packaged in a gift box, this engraved cigarette case ships the next business day after your order is placed.